HANCOCK -- "Kari Soinio: From Landscape to Place," a photography exhibit, is featured at the Finlandia University Gallery, Hancock, from Oct. 22 through Nov. 25, 2015. An opening reception for the exhibit will take place at the gallery from 7 p.m. to 8:30 p.m. TONIGHT, Thursday, Oct. 22, with an artist talk by Kari Soinio beginning at 7:30 p.m. The reception is free and open to the public. Refreshments will be served. 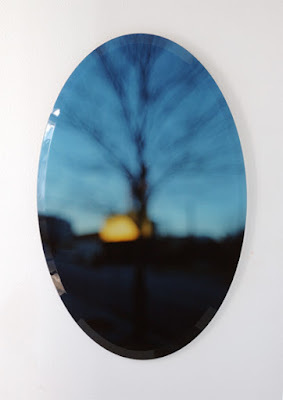 Kari Soinio is a New York based artist working mainly with photography. He received his BA from the Lahti Polytechnic in his native Finland and his MFA from University of Art and Design in Helsinki. He also has studied at the International Center of Photography in New York. "Both my landscape and auto portraiture work have evolved and taken different paths in photography, which I still feel challenges me constantly," notes Soinio. "I enjoy the infinite possibilities camera and photographic techniques offer as means of expression, from documentary style to more conceptual approach." Soinio has exhibited in numerous group shows at the Museum of Contemporary Art Kiasma and Finnish Museum of Photography in Helsinki among them. A monograph "From Landscape to Place" was published in 2009 in conjunction with shows at Heino Gallery and a mid-career survey at Kerava Art Museum near Helsinki. His show at the Institut Finlandais in Paris was part of Mois de la Photo in 2010 and received significant attention from French art press. His work has been shown internationally at Mappin Art Gallery, Sheffield, England; NGBK gallery, Berlin, Germany; Arthouse, Sofia, Bulgaria; Ludvig Museum, Budapest, Hungary; Signe Vad galleri, Copenhagen, Denmark; Peer Gallery, New York, USA; Gallery Papatzikou - Photobiennale Thessaloniki, Veroia, Greece; Ingrid Hansen Gallery, Washington DC, USA; Municipality of Neapolis Gallery, Thessaloniki, Greece; Kakelhallen, Mariehamn, Åland. Soinio's work has appeared in NY Arts Magazine, Connaissance des Arts, l'Humanité, Réponses Photo, Art Actuel, La Tribune, Next Level and in numerous books, newspapers and tv programs in Finland. 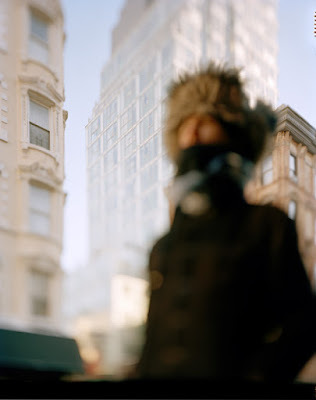 At Finlandia University Gallery Kari Soinio will be exhibiting work from three photographic series: City of Ghosts, Beautiful City and A Way by Numbers. The Finlandia University Gallery is in the Finnish American Heritage Center, 435 Quincy St., downtown Hancock. For more information, contact the Finlandia University Gallery at 906-487-7500.